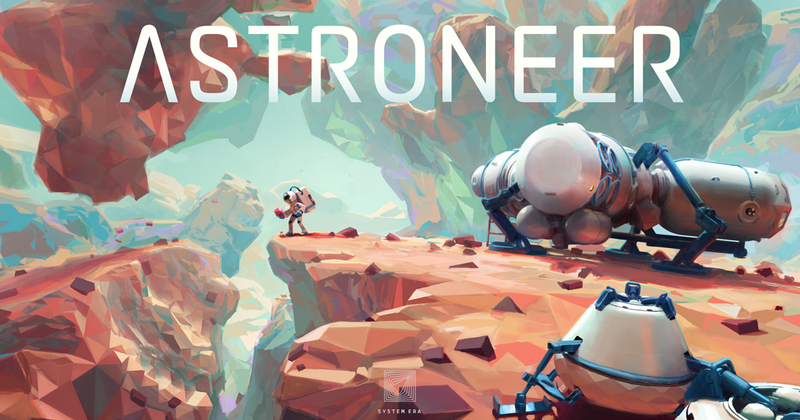 Astroneer is basicly Minecraft + No Man's Sky but without blocks or fake promises, developed by System Era. It's currently on Pre-alpha stage and released about a month ago, the game offers a sand-box, terraforming, base-building, mining, etc. that'll be very fun to play, especially on co-op. It's 20$ on Steam, i would say it's not really worth it to bought it at the current state(or perhaps you liked hilarious buggy game) but i'm pretty sure that it'll be more than awesome when it's out from alpha So i guess you'll pirate it huh. This actually looks really cool. I barely ever play PC games anymore, but I might pick this one up. Hey this is the game you picked out since you won first place in the banner competition. I'm glad to see you're enjoying it. I really liked Minecraft and I'm a big fan of space related games, so when you told me about this game it sparked my interest. I would like to test it out, but I've had bad experiences purchasing games that are still in Alpha or Beta state, so I'll probably hold off until it's released. I'm really excited to see what it's like though. You never know, it could become the next big thing that takes over Minecraft.